On Saturday 2nd March, several DASP groups and individual students took part in the Weymouth and Dorset Music Festival. The DASP Youth Orchestra performed brilliantly including an excellent rendition of 'Shot Gun' by George Ezra which featured solos by various members. The DASP Brass group played particularly well, despite having to lead themselves at the last minute. The DASP Flute Choir and Flautissimo also did themselves proud and Flautissimo did particularly well as they were invited back to the evening celebration concert on Friday 8th March and were presented with an ensemble winners cup. Special thanks to our DASP ensemble leaders, Mrs Wolff, Mr Ansell and Mrs Olson. In addition to our groups, several individuals from DASP entered on their own or in small groups. William Bishop, Ella Trevorrow, Oliver Trevorrow and Orson Marsh (pictured right) did particularly well as they were invited to perform at the evening celebration concert and Orson and Ella were both presented with cups. Events such as this are invaluable for the development and inspiration of our young musicians and thanks must go to all involved. 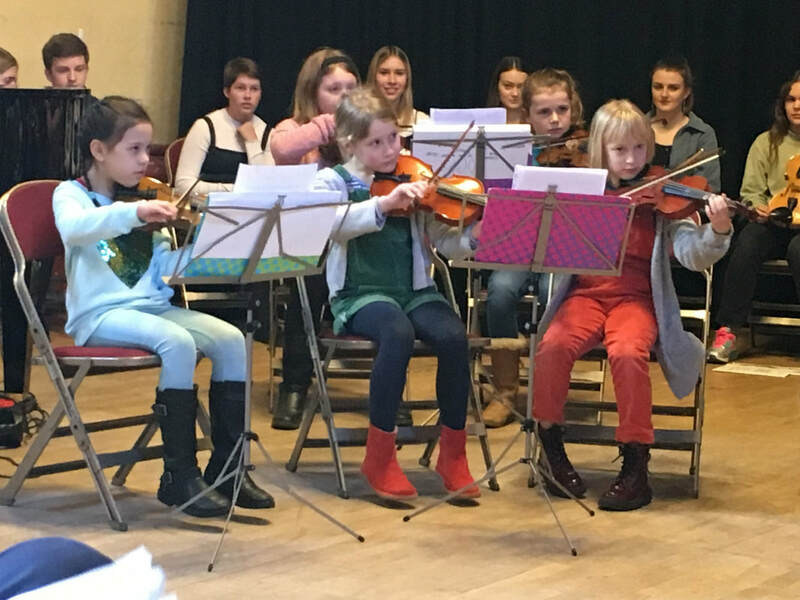 On Sunday 10th February, several DASP ensembles and soloists took part in a fundraising concert for Julia's House Hospice at the Corn Exchange. All performed brilliantly and a whopping £500 was raised for Julia's House. A full report in the Dorset Echo can be read here. On Saturday 19th January we held our second DASP Young Musician Festival. We were privileged to have two excellent adjudicators, Howard Evans and Andy Fawbert, who gave superb feedback to everybody. About 50 students took part in classes during the day and then 14 students were invited back to play in the evening celebration concert. Highly Commended: Anna Southam (clarinet), Oliver Trevorrow (violin), Bruno Greenfield (piano), Tom Stevens (trumpet), Zach Stevens (saxophone). The overall winner of the Intermediate cup was Mia Wright and the overall winner of the Advanced cup was Sam Lawson. 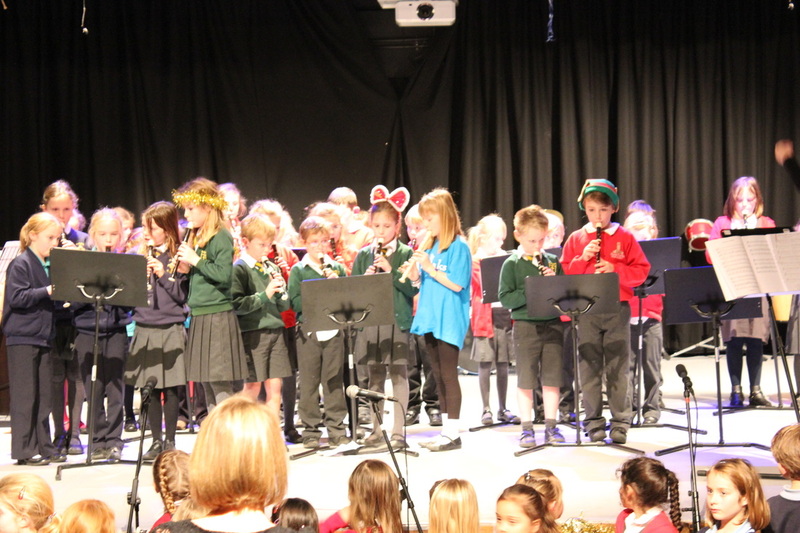 This year's Christmas Concert took place on Thursday 6th December at the Thomas Hardye School Theatre. All of the DASP Ensembles took part plus a few invited other groups such as the THS Big Band and the Thomas Hardye Singers. The evening was a fantastic way for the students to show off their hard work from the term and put everyone firmly in the Christmas mood! Photos from the concert can be found here. On Sunday 8th July, over 300 children from across the Dorchester Area Schools’ Partnership (DASP) came together at the Weymouth Pavilion for a sell-out DASP Music Summer Concert. The concert featured children from aged 5-18, all performing together in a huge range of styles. There were choirs, orchestras, jazz bands, rock bands and much more. The concert opened with a large choir of over 100 children performing ‘The Greatest Show’ from the hit musical-film, ‘The Greatest Showman’. It closed with a massed orchestra, which included beginner players from age 6 up to advanced players aged 18, performing Copland’s Rodeo-Hoedown. Photos and videos of the performance can now be found on our Gallery and Audio/Video page. 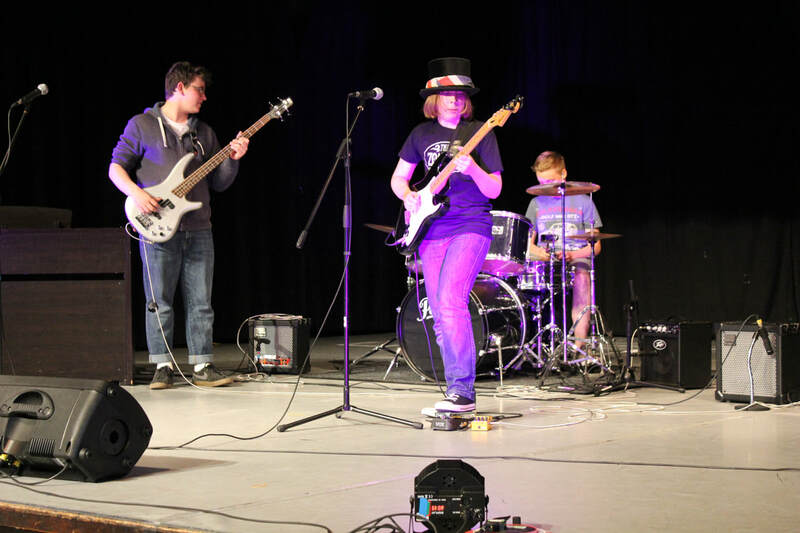 On 28th June, students from the DASP middle schools and THS took part in DASP Fest 2018 - an opportunity for pop/rock musicians and student-led bands to perform to family and friends. The evening was really lovely and it was great to see so much talent, not just at performing, but also at improvising and composing. We hope to offer more opportunities for these pop/rock musicians at our larger DASP Fest in 2019. On Saturday 16th June, over 60 students came together for an all-day orchestral workshop in the Thomas Hardye School 6th form centre. The day was led by local professional musicians, who played alongside the students, led sectional rehearsals and conducted the end performance. Students focussed on two pieces; Copland's Rodeo and Sibelius's Finlandia. The morning focussed on the more advance players and then in the afternoon, our beginner players were able to join. This was the first experience of playing in a large orchestra for many of these younger students. The day culminated in an informal performance for family and friends. 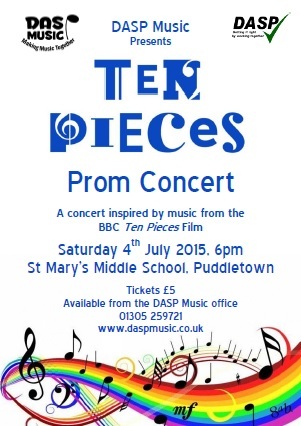 It is hoped that the two pieces will be performed at the summer concert in July. This is our third orchestral workshop in recent years and we very much hope it will continue to be an annual or bi-annual event. Friday 4th May saw students from across the DASP schools involved in the farewell celebrations for Dippy the Dinosaur. 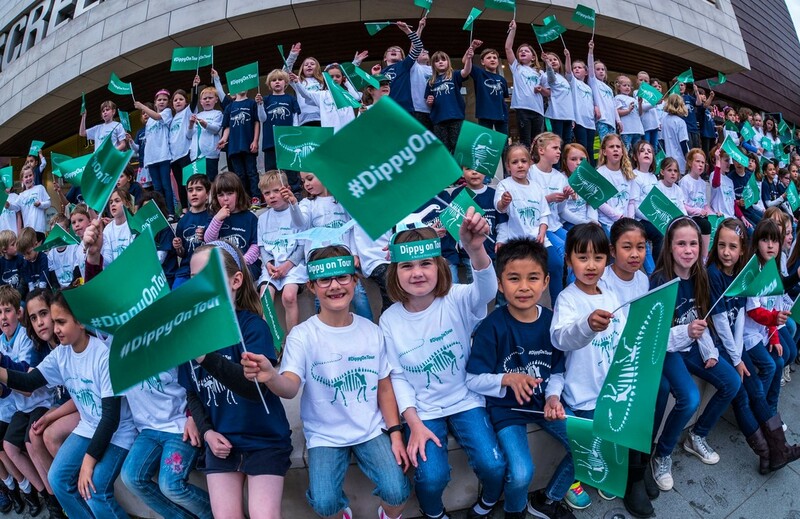 Over 250 children from years 1-6 (plus their parents) met at Brewery Square where they were provided with Dippy T-shirts and flags. They then performed the Dippy the Dinosaur song (written by Mrs Trevorrow for Skylarks choir to perform at Dippy’s opening event back in February). After the song, a samba band made up of parents and students, led a procession from Brewery Square, down South Street, to the Dorset County Museum. At the museum, the children performed the song again and there were speeches by the Director of the Museum and The Mayor of Dorchester. Everyone was treated to lovely drinks and nibbles before going home. More photos and video can also be found on our Facebook and Twitter feeds. 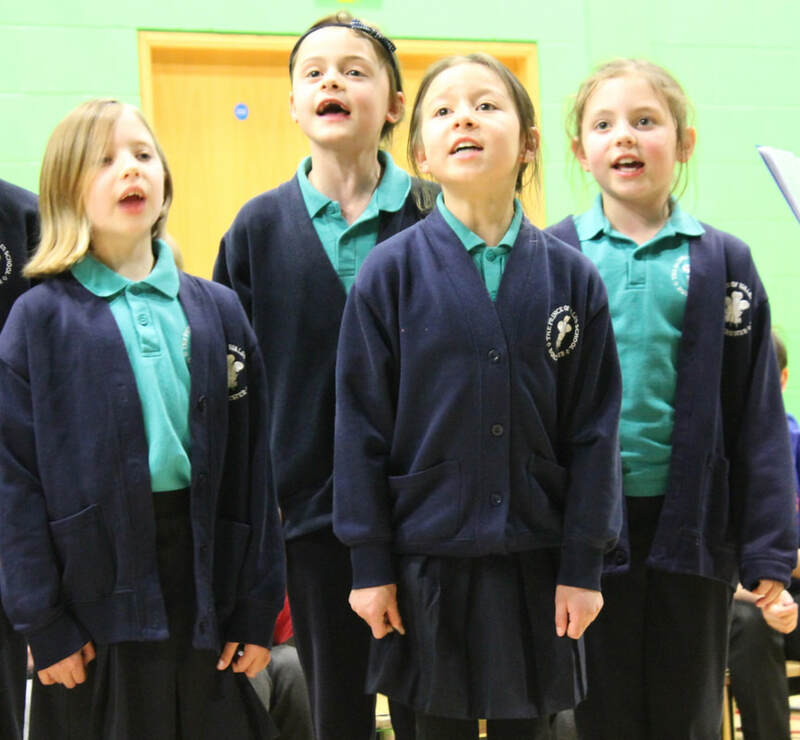 This March, the annual DASP Year 4 concerts took place once again at the St Osmund's sports hall. Mrs Trevorrow visited all of the schools during January and February to deliver vocal workshops to all of the children in year 4 throughout the whole DASP pyramid. This year, the them of the concert was Peace and Unity. The children learnt five songs, each learning a different part, so that when they were finally put together, they were able to perform in three-part harmony! The songs that they performed altogether were: a medley of War Songs, Dona Nobis Pacem, 'One Voice' by the Wailing Jennies, 'Let it Be' by The Beatles and Ed Sheeran's 'What do I know'. In addition, each school prepared their own song to perform. The concerts were a huge success with packed out audiences on both evenings. Through generous donations, nearly £800 was raised which will be put towards the year 4 concert next year. Photos and video of the concert can be found on our gallery and audio/video page. Well done to all involved! 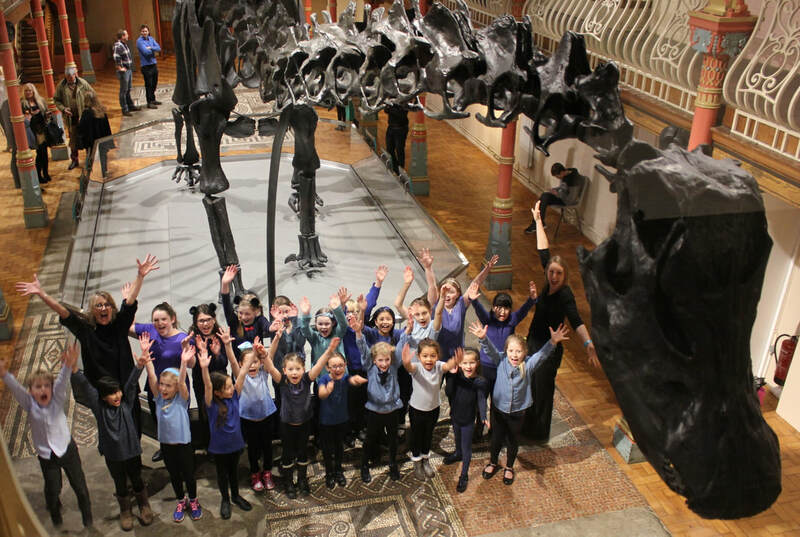 At the start of February half term, DASP Youth Orchestra and Skylarks choir had a fantastic time, performing at the opening celebrations for Dippy on Tour at the Dorset County Museum. The Friday night saw the orchestra perform at the formal opening of Dippy on Tour. This was a highly prestigious event, and the orchestra were delighted to have been involved. 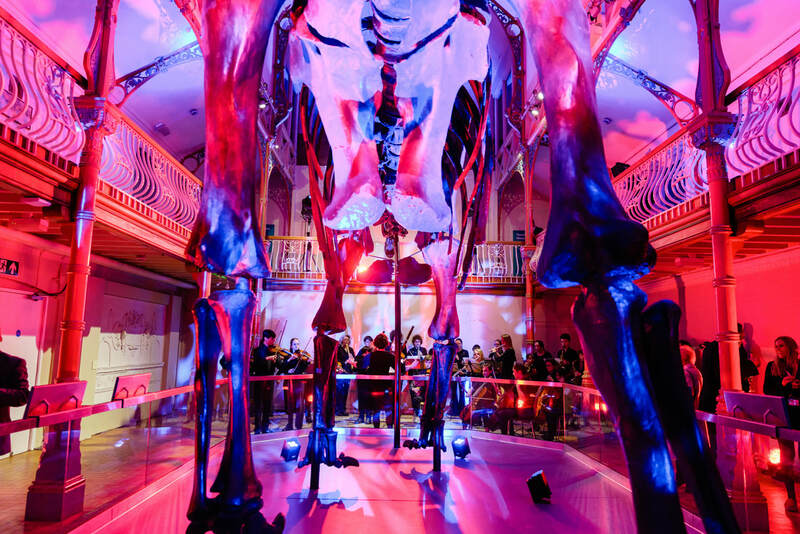 They performed 'Jurassic Park' and 'Largo from New World Symphony' as background music, whilst the VIP guests viewed Dippy and enjoyed champagne and canapés. In addition to the orchestra, James Osborne-Jackson, Sam Lawson, Joe Lyndley and Zach Stevens all performed solos/duets. The orchestra then performed 'The Fossils' as a special show-cased performance straight after Dippy was formally opened by the special guests. It was all very exciting, especially when we found out that we were to appear on the national BBC 6 o'clock news!!!! (the video of which can be found here). The students all performed brilliantly and showed exemplary behaviour throughout. Huge thank you to Mrs Wolff and to all the other adult helpers who helped to make the performance possible. The Saturday night, saw DASP Music return to Dippy for a special performance by Skylarks Choir. This event was a family-friendly VIP event for local people. 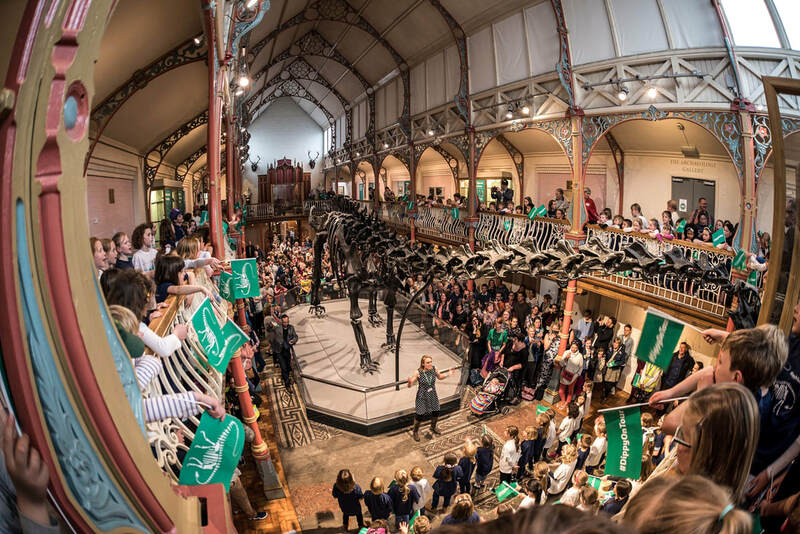 The choir were able to have exclusive access to Dippy and take part in various Dippy-themed activities. They performed a special Dippy song that had been written by Mrs Trevorrow, especially for the event. It is hoped that many other schools will learn the song over the coming months as they prepare for their own Dippy visits. Again, the choir performed with great enthusiasm and there were many positive comments from everyone who was there. Special thanks to Kathie Prince for rehearsing and enthusing the choir! 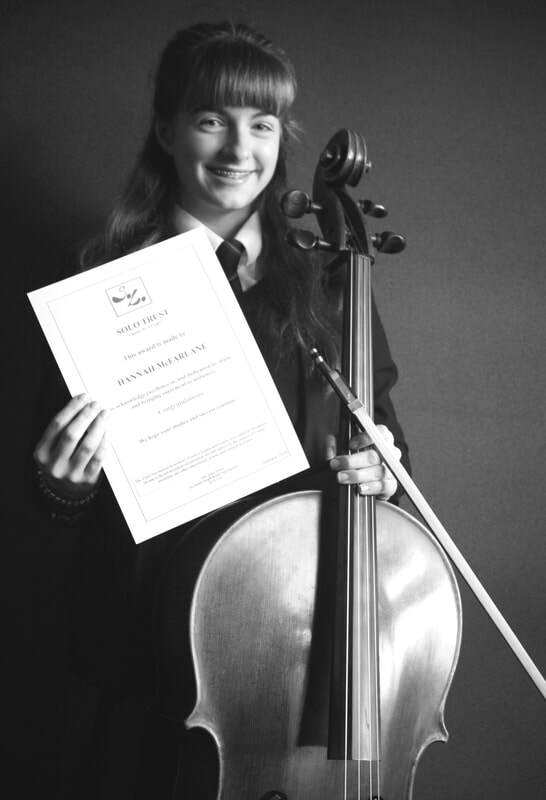 Congratulations to Hannah McFarlane who last term, reached the final 25 string players, in the national BBC Young Musician of the Year Competition. We were delighted this term to award Hannah a grant, given by the Solo Trust, to assist her to pursue her career as a professional musician. “When I entered BBC Young Musician 2018 last summer my ambition was to get into the second round of the competition, the category auditions. The first round – the Regional auditions - was held in the Wales Millennium Centre in Cardiff. Following this I had a very nervous week waiting for the result and sat glued to the computer for a day in half term awaiting the email. Fortunately I was selected - I was thrilled to be one of the final 25 string players. out – the judges have to keep “a neutral exterior” so you have no idea what they are thinking! As I came out of the audition I was interviewed by the BBC which was great fun – I cannot remember what I said! The many hours of practice and rehearsals with my accompanists had paid off, not to mention all the lessons in New Milton with my teacher, Lionel Handy. Sadly I didn’t get to the televised round but to have got as far as the last 25 string players was amazing. One of the adjudicators described my performance as “really impressive playing …… conviction in spadefuls”. My accompanists were Howard Evans (first round) and Heather Reed (second round). Not only do they have to accompany my pieces but they have to keep me calm and relaxed in the warm-up session – they did a grand job especially when my cello strings had gone haywire just before the second audition. Was the whole experience fun? Yes, fantastic…………plus the meal at Zizzi’s overlooking Cardiff bay! Will I enter BBC Young Musician 2020? DEFINITELY!! I now have some exciting ventures coming up; the first of these is in March when I am the curtain-raiser for a concert to be given at the Corn Exchange in Dorchester by the BBC Young Musician of 2014. On 6th December, children from across DASP came together to perform at the DASP Christmas concerts at the Thomas Hardye School theatre. There were performances from all of the DASP Ensembles and several Thomas Hardye School groups. All students performed excellently and the concert got everyone firmly in the Christmas spirit. Video clips of the concert can be found here and photos can be found here. 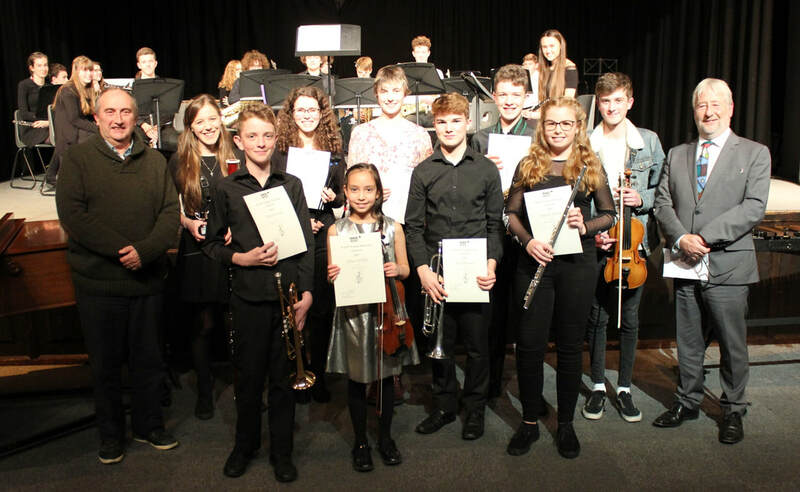 On Saturday 25th November, the first ever DASP Young Musician Festival took place. The event saw students of grade 4 standard and above take part in classes during the day, which were adjudicated by our guest adjudicators, Andy Baker and Andy Fawbert. Ten students were invited back to perform at an evening concert which also features the Thomas Hardye School Concert Band, conducted by Mr Trevorrow. There were many fantastic performances and the winners of all categories are pictured here, but the overall winners were James Osborne-Jackson (Intermediate) and Lydia Bennett (Advanced). Well done to all who took part. We very much hope that this is something that we can continue to run into the future. 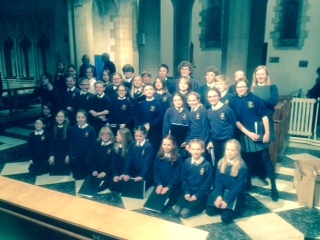 11th November saw the annual ICSO/THS Singers concert take place in St Mary's church. This year, 30 middle school singers joined the main choir to sing the children's-choir part in Rutter's Mass for the Children. In addition, the THS Singers performed Finzi's Low the Full Final Sacrifice. ICSO performed selections from Bizet's Carmen, for which they were joined by several THS instrumentalists and then ended the concert with the rousing overture from Wagner's Die Meistersinger. All who took part in the concert performed magnificently. The concert was extra special as it was the farewell concert for ICSO's conductor, Richard Dickins, who has been visiting Dorchester with the orchestra for about 20 years. It is a very special partnership and we very much hope that it is something that can continue in some form into the future. On Saturday 8th July, 250 students took place in the annual DASP Summer concert at Weymouth Pavilion. The concert featured all of the DASP ensembles and also a large DASP Orchestra of over 100 students and a large combined first schools' choir. Photos and video can be found on our gallery and video pages. An article from the Dorset Echo can be found here. 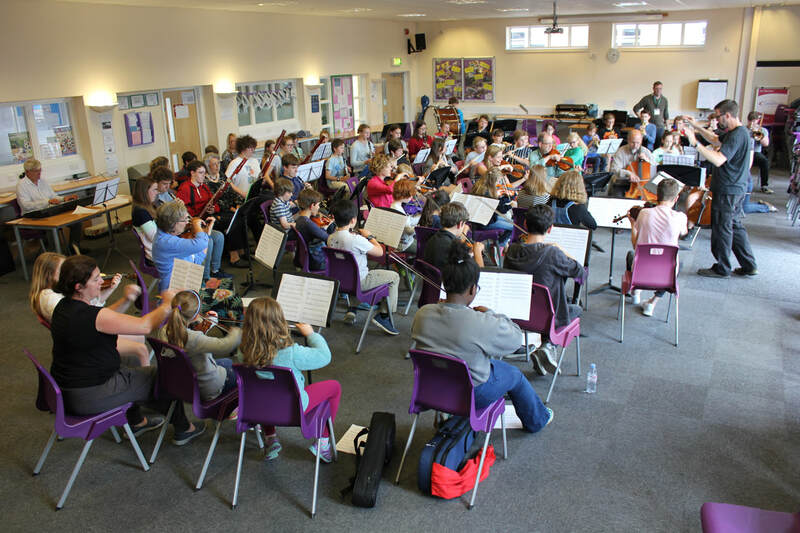 On 25th June, 80 students from across DASP took part in a one-day workshop with members of the Bournemouth Symphony Orchestra. They played two pieces; Ride of the Valkyries and A Night on the Bare Mountain. These were then performed to parents at the end of the day. The day was a huge success and the children really gained from the experience of playing in such a large ensemble. Photos and video can be found on our gallery and video pages and an article from the Dorset Echo can be found here. On 29th March, Brass students from Thomas Hardye School and those that attend DASP Brass Ensemble and Beginner Brass Group were treated to a brass masterclass by ex-BSO trumpeter, Dennis Curlett. Dennis was able to offer advice and top tips to our brass students. Thank you to Mr Ansell for organising the session. On Sunday 19th March, Stringalings, Flute Choir, Uke Troupe, Harmony, Classics and various small groups and soloists took part in a fundraising concert for Julia's House at the Dorchester Corn Exchange. The Mayor was in attendance and was greatly impressed by the wealth of talent on show by the DASP students. Over £600 was raised for the Julia's House Hospice charity. Well done to all involved! 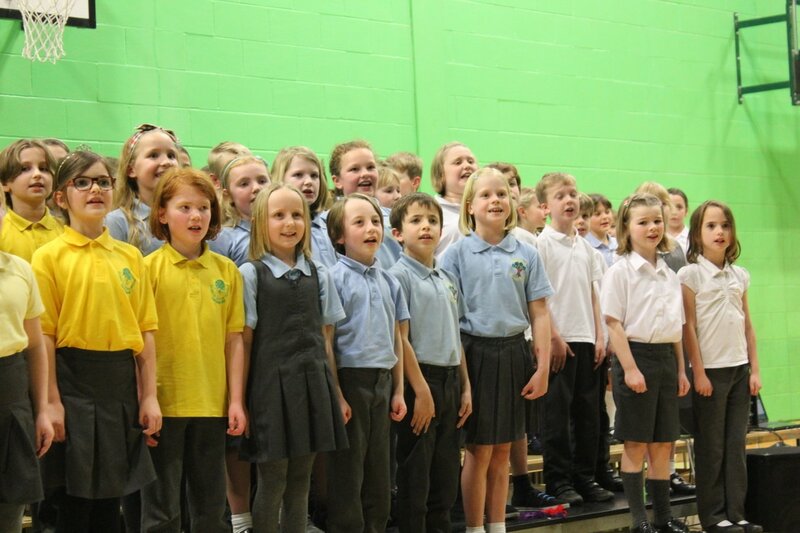 On 15th and 16th March, over 400 Year 4s (and some year 3s) took part in the annual DASP Singing Concerts. In the run-up to these concerts, Mrs Trevorrow visited all of the first schools to workshop five songs with them including Lean on Me, Something Inside So Strong and Stand by Me. These five songs were then performed in two-part harmony at the concerts. In addition, each school worked on their own individual song to perform. All of the performers did fantastically well and the concerts were a wonderful celebration of singing! Photos and video of the event can be seen on our Gallery and Audio/Video page. 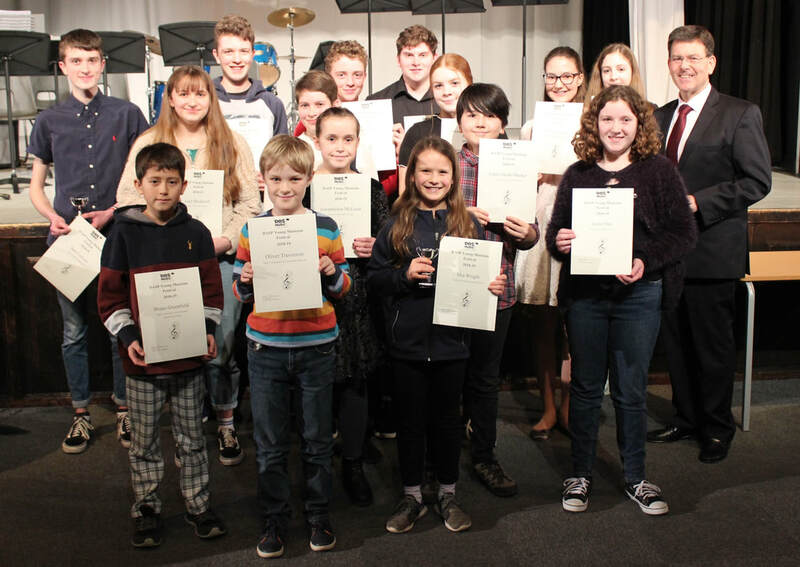 Congratulations to all students that took part in the Weymouth Music Festival this year. The DASP Brass, DASP Youth Orchestra and Training Windband all played wonderfully and received some great feedback from the adjudictors. Many of our students also took part in the solo and duet classes too. A particular mention to Bruno Greenfield (Prince of Wales), Eachan Hardie (Dorchester Middle School) and Verity Ridout (Thomas Hardye) who all played in the Festival concert and were cup winners. On Monday 13th March, students from the three middle schools and Thomas Hardye were fortunate enough to take part in a musical theatre workshop given by four professional musical theatre performers, at the Weymouth Pavilion. The workshop was heavily subsidised using money from the Singing Strategy funding. The students performed six songs in groups (complete with choreography) and several students also performed solos and duets. The students all benefitted from the experience, skill and enthusiasm of the four professionals; Rhona McGregor, Lauren Ingram, Marianne Benedict and Adam Bailey, and were lucky enough to see the professionals also perform in the final evening showcase. A fantastic day was had by all. Photos and video of the event can now be seen on our gallery and audio/video page. The DASP Instrumental Roadshow has just finished visiting all of the DASP first schools. Four DASP Music teachers toured the schools, demonstrating a variety of musical instruments and playing a range of music, combined with a fun pirate-themed story. You can see clips of the instrumental roadshow here. On 7th December, over 200 children came together to perform at the DASP Christmas concerts at the Thomas Hardye School theatre. There were performances from all of the DASP Ensembles, several Thomas Hardye School groups and also a few select soloists. All students performed excellently and the concert got everyone firmly in the Christmas spirit. Video clips of the concert can be found here. 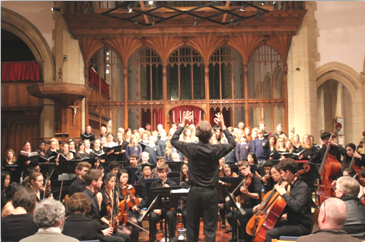 In November, students from The Thomas Hardye School, St Mary’s and St Osmund’s Middle Schools joined forces with Imperial College Symphony Orchestra (ICSO) from London to perform a fabulous concert at St Mary’s Church in Dorchester. This collaboration between ICSO and The Thomas Hardye School music department started in 2001 and has been an annual event ever since. The event has grown so that this year there were over 160 performers involved. You can hear a clip from the concert here. To see two articles which were in the Dorset Echo about the concert, click here or here. 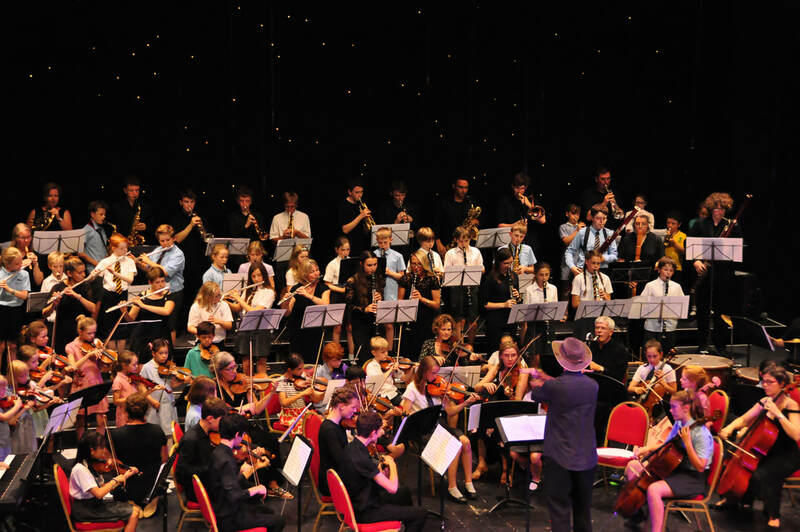 On 3rd July, over 260 children took part in the annual DASP Summer Concert which this year, for the first time, was held at the Weymouth Pavilion. All of the DASP ensembles performed and the standard of playing was exceptionally high. Highlights of the concert included the 90 piece orchestra playing Bizet's Habanera and the 80 strong choir singing 'Put a Little Love in your Heart'. A huge congratulations to all involved! Photos and video can be found on our gallery and audio/video page. 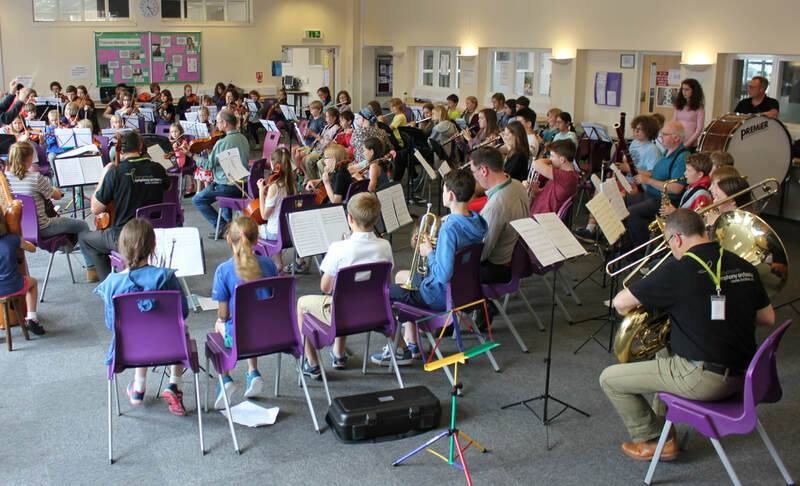 On Saturday 25th June, over 90 young people took part in an orchestral workshop at The Thomas Hardye School, led by members of the BBC Concert Orchestra. The workshop was brought to us by the BBC Ten Pieces coaching scheme and saw Alastair Malloy (percussionist with the BBCCO) lead the workshop with support from four other BBCCO musicians plus a team of DASP Music peripatetic staff. The morning saw 65 older children learnt to play Holst's Mars and Haydn's Trumpet Concerto. In the afternoon 30 beginner players joined the orchestra to learn to play Bizet's Habanera from Carmen with the main orchestra. 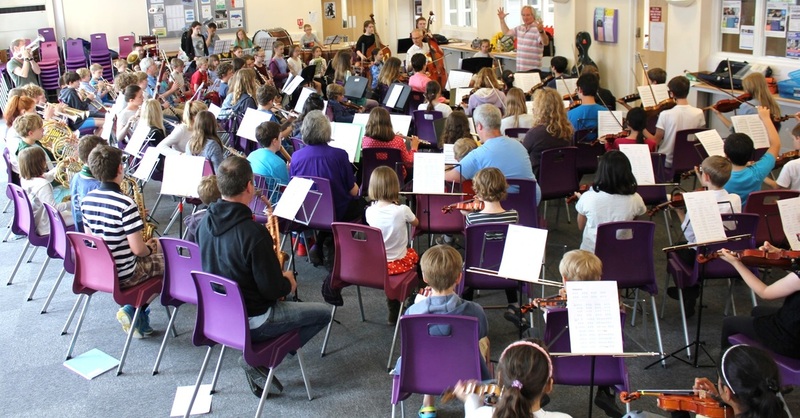 Creating a massed DASP orchestra was a wonderful experience and the level of playing was exceptionally high. ​A fantastic day was had by all! Thank you to everyone involved! 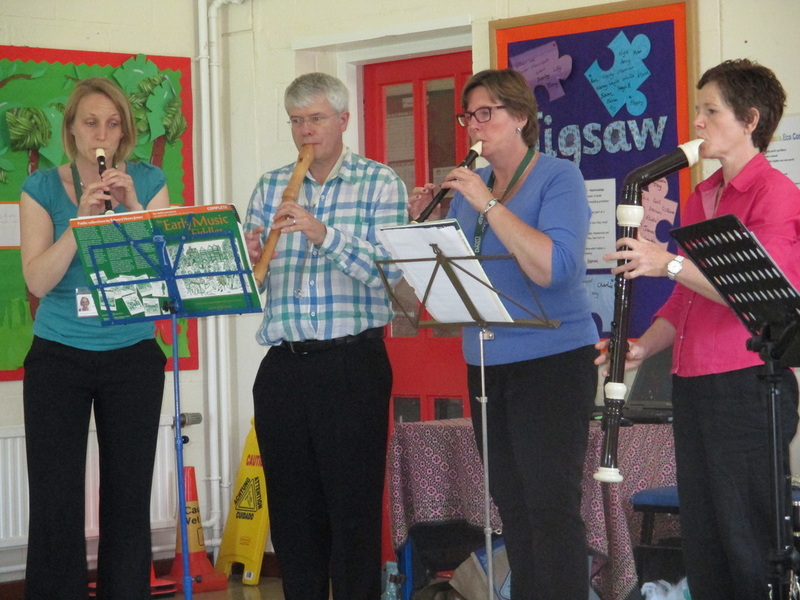 ​On 12th May, DASP Music held a Children’s Concert and Come and Try session at The Thomas Hardye School. 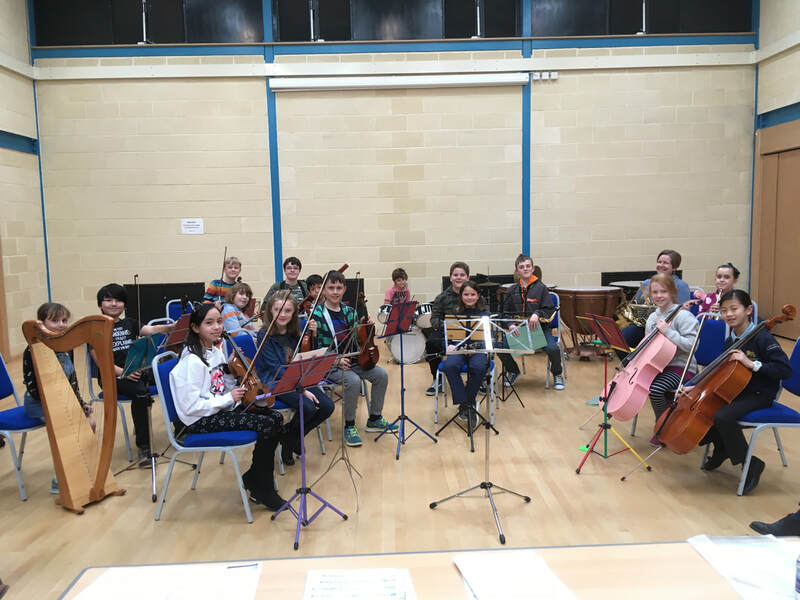 The concert featured all of the orchestral instruments that are available to learn in the DASP schools and was an opportunity to find out more and hear the instruments played by professionals, both in a solo and group context. Afterwards, the children were given the opportunity to ‘have a go’ on all of the instruments. The hope is that in running these events, we inspire the next generation to learn an instrument and help parents with the difficult decision of which instrument to choose. We hope to run a similar event next year. Thanks to all the peripatetic staff and THS students who were involved. ​On Thursday 21st April, the DASP Orchestra performed at Dorchester Town Council’s Beacon Lighting Ceremony to celebrate the 90th birthday of the Queen. It was a varied programme of English themed pieces including Vaughan Williams’ ‘The Lark Ascending’ and ‘Lucy in the Sky with Diamonds’ by The Beatles. supporting the orchestra and well done to all involved! On 11th April, nearly 200 students from the middle schools and THS took part in an inspirational workshop and concert, led by the Academy of Contemporary Music Gospel Choir. This choir first became known through the BBC show 'Last Choir Standing' a few years ago, and has more recently won the accolade of 'Gospel Choir of the Year'. 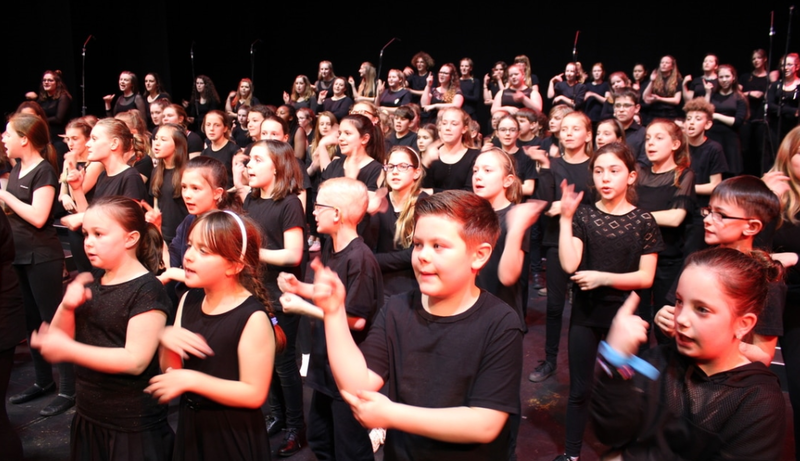 The all-day workshop resulted in an evening concert at the Weymouth Pavilion where the students came together to perform songs in three part harmony with choreography. This project was supported with funding from the National Singing Strategy, and it is hoped that as a result of it, we will encourage more children to engage in singing and join the choirs that are on offer through the DASP schools. Thanks to all of the teachers who supported this event - a fantastic time was had by all! Click here for photos of the event and here for videos. 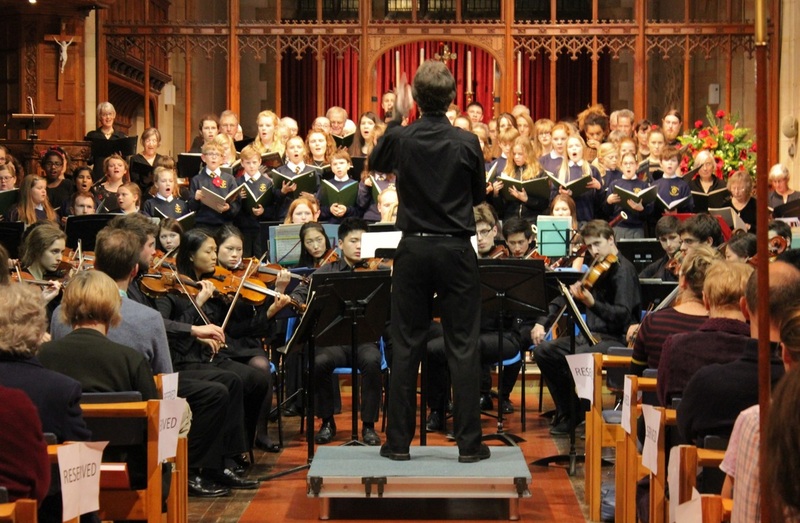 On Saturday 12th March, children from Puddletown Middle School and the DASP Classics choir joined with Dorchester Choral Society for a performance of Carl Orff's Carmina Burana at St Mary's Church in Dorchester. The children sang the Ragazzi (children's choir) choruses as well as joining in for the famous 'O Fortuna' chorus. They performed beautifully and it was a great experience for all involved. Special thanks to Mr Pontin, Mrs Brind and Dorchester Choral Society for making it all possible. 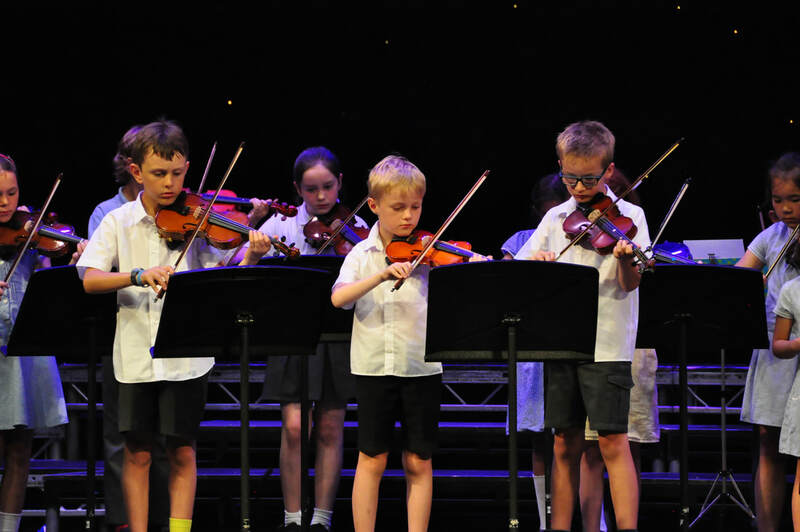 On 9th and 10th March, over 400 Year 4 children from across the DASP pyramid took part in the annual DASP Year 4 concerts. We were lucky enough to be able to use funding from the National Singing Strategy, to this year fund Mrs Trevorrow to visit each of the schools to run a series of vocal workshops in which to teach the children the songs to be performed in the concert. The result was five pieces, all sung in two or three part harmony, learnt off-by-heart and sung to a very high-standard. Songs included 'Can you Feel the Love Tonight' and 'Lean on Me'. Each school also prepared their own individual song and these were all especially well put together this year and there were some great individual performances. Thank you to all of the staff who made the evenings possible, thank you to the parents for supporting the concerts and well done to all of the children who worked so hard and performed so well! DASP Brass Ensemble are winners at the Weymouth Music Festival! 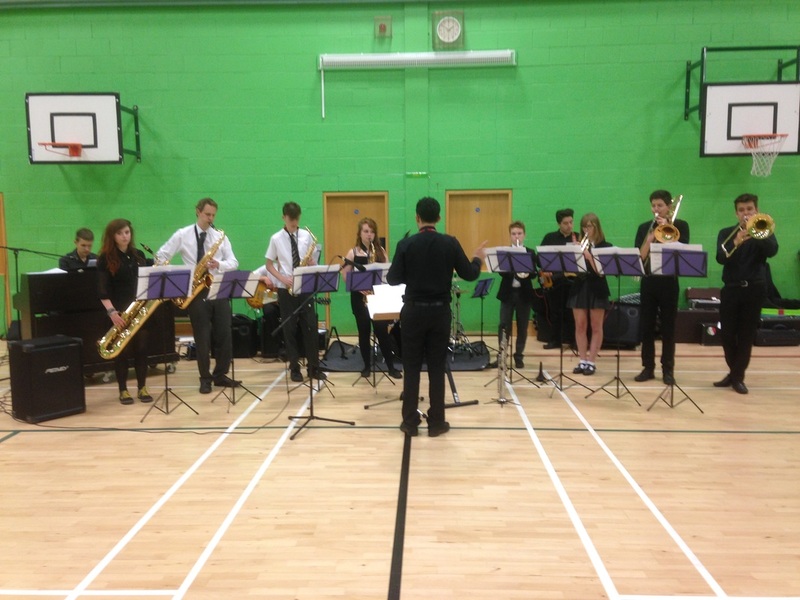 Two DASP Ensembles took part in the Weymouth Music Festival this year on 5th March. The Training Windband wowed adjudicators with their rendition of 'Land of Hope and Glory' (the adjudicators could not believe that they were all beginner musicians!) and the DASP Brass Ensemble performed excellently and were awarded the Best Youth Ensemble cup! Thank you to Mr Goodwin and Mr Ansell for giving both groups the opportunity to perform and well done to all who took part! On March 5th, Stringendos had the opportunity to play with Dorset Chamber Orchestra at their annual Concert for Youth. They joined DChO to play a piece arranged especially for them called “Water Birds”, composed by Liz Sharma. They were able to feel what it is like to be part of a full symphony orchestra at rehearsal and in concert. 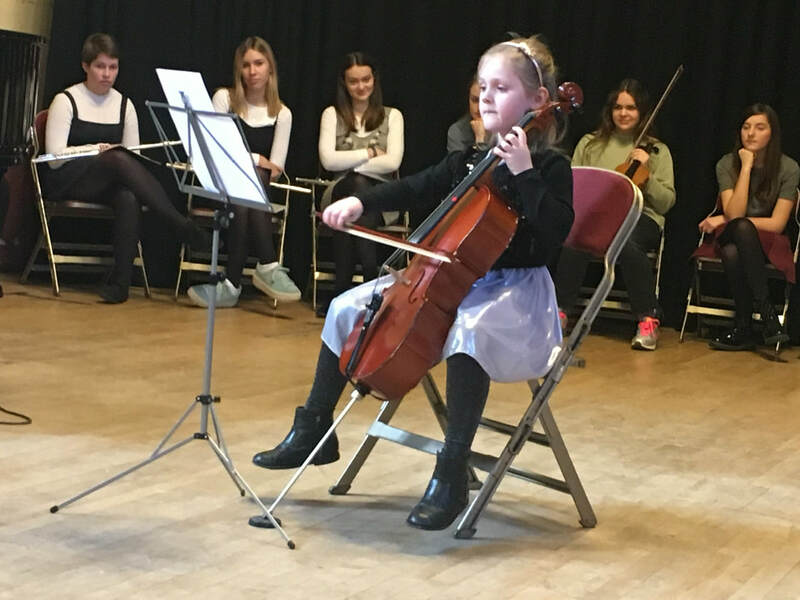 Elise Griffin, year 5 student at St Osmund's, was a guest soloist with the orchestra, playing the Violin Concerto in a minor op.6 no3 by Vivaldi. Stringendos also joined DChO in the final item, playing “Carillon” from the Suite l’Arlesienne by Bizet. It was a fantastic experience for all involved and we look forward to further collaborations with DChO in the future. Thanks to Mrs Bultz and Mr Brewster for all of their input. 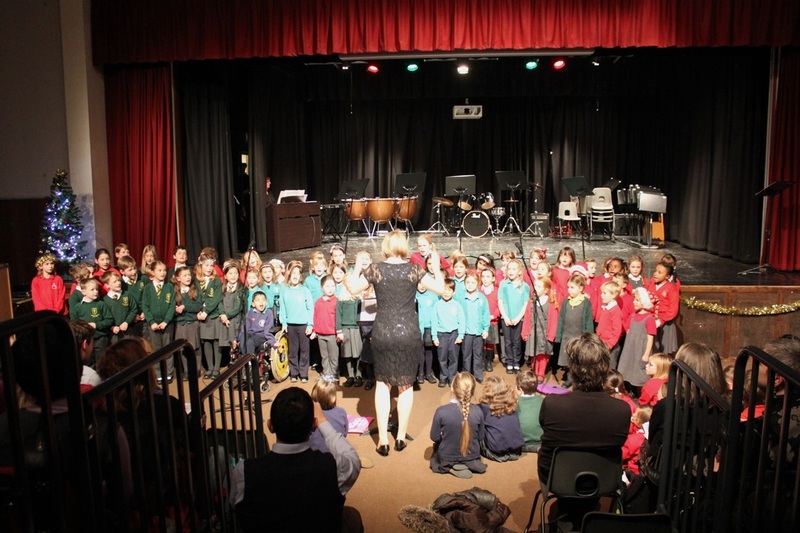 On 9th December, the annual DASP Music Christmas concert was held at The Thomas Hardye School Theatre. 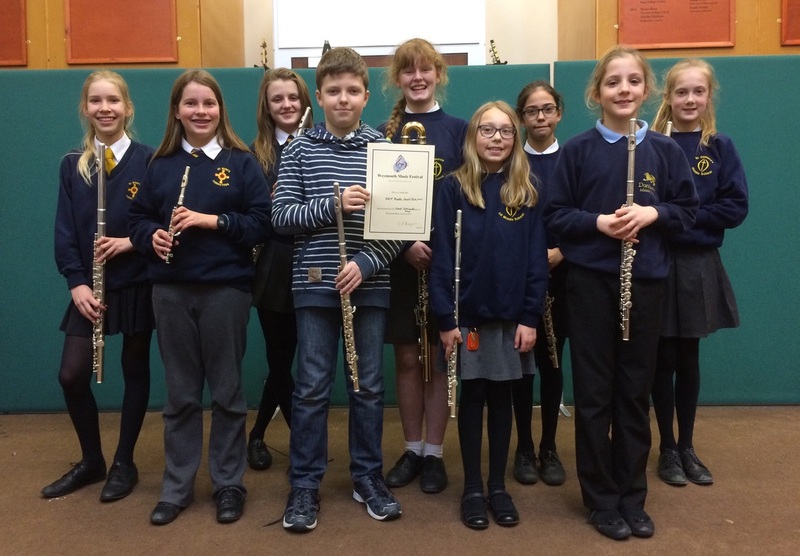 Almost 200 students were involved and all of the DASP Music Ensembles took part, as well as a combined first schools' recorder ensemble of around 60 recorders! It was lovely to see debut performances by the Stringalings, the Training Windband and the DASP Jazz Band (amongst others) as well as excellent performances by some of our more established groups. Short compilation videos of the evening can be viewed here and photos can be seen here. A review of the Thomas Hardye Singers and ICSO concert from the Dorset Echo website can be found here. "Thanks you for your wonderful singing at the weekend: it was such a privilege for ICSO to join you for the rehearsals and concert. The Rutter was incredibly moving - beautifully sung and most musically shaped - the Bernstein fizzed with energy and the Polovtsian Dances simply took off!! Thanks you all for this remarkable collaboration between the town of Dorchester and Imperial College London: it means a lot to us in London and I hope that it does to you also." We are very grateful to Peter Oakes, Richard Dickins and ICSO for giving the students of Dorchester the opportunity to take part in an event such as this. On Weds 8th July, DASP Music helped to facilitate a group of THS students to go 'on tour' around all three middle schools. 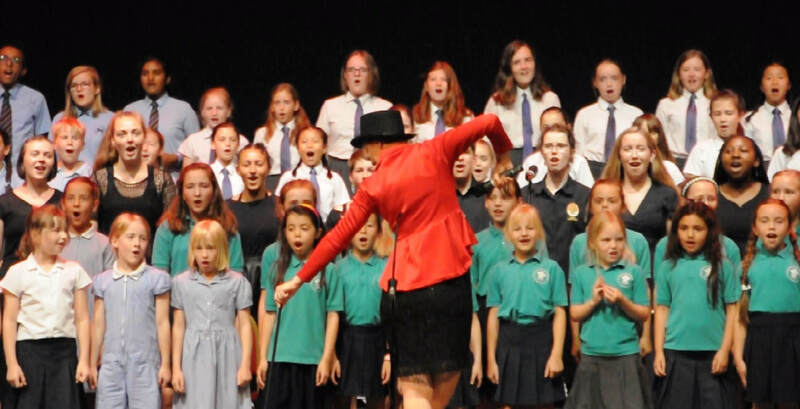 The tour was made possible with funding from the Dorset Music Education Hub's Singing Strategy and featured various different vocal groups from THS including Harmony, 'busking group', BOSS (Boys Only Smooth Singers) and the THS Big Band with featured vocal soloists. The hope was to inspire the next generation of THS students to get involved in singing when they reach upper school and to especially encourage more boys to participate. The middle schools thoroughly enjoyed the experience and we hope to continue with this sort of link between the middle and upper schools in the future. On Saturday 4th July, students from across DASP joined together for a fabulous night of music making at the Ten Pieces Prom Concert at St Mary's Middle School. The concert featured all of the DASP Music Ensembles and also included a performance of Grieg's 'In the Hall of the Mountain King' which brought together over sixty musicians from ages 6 - 60 performing in a large orchestra together. The concert also featured the annual presentation of the DASP Citizenship Awards to deserving students from across the pyramid. Through kind sponsorship from Weyprint and The Solo Trust, awards were also presented to young musicians within DASP who had excellend this year, to help them with their future musical development. Here are some videos and photos from the event. Many thanks to all who contributed towards making it an enjoyable and fantastic evening! Children in Year 3 across DASP have been lucky enough to have been visited by Martine Burt, one of the regular directors of WOW Youth Musical Theatre, to take part in a musical theatre workshop. They workshop was funded as part of the governments Singing Strategy and aimed to encourage better performance skills and improve confidence in singing. The children spent two hours doing vocal warm-ups, dance warm-ups, drama and co-operation games and finally learnt the song 'Naughty' from the musical Matilda and performed it with actions. We look forward to more collaborations with Martine in the future! For more Singing Strategy photos click here. DASP Instrumental Roadshow is underway! The DASP Instrumental Roadshow has been busy visiting 14 DASP schools over the past term, to demonstrate a variety of instruments to the children and to give them the opportunity to experience some excellent live music in the hope that in might encourage more children to take up a musical instrument. The roadshow is more than a demonstration of instruments. It takes the children on a journey through time and space, to collect the items on the wicked witch's list in order to break the spell and complete the final performance! Throughout the show, the children listen to many different instruments (violin, viola, cello, trumpet, euphonium, recorders, flute, clarinet, piano and accordion!) and learn about many different musical styles from baroque to folk to tango, whilst taking part in a good amount of audience participation on the way. To see highlights of this year's roadshow, click here. This project has been a huge success this year, and we are hopeful that if we can find the funding, we can recreate something similar next year. Damers First School has BBC Ten Pieces work displayed on BBC website. Year 4 students at Damers First School have been busy making creative responses to the BBC Ten Pieces resource. Their digital art in response to Stravinsky's 'The Firebird' can currently be viewed on the BBC Ten Pieces website. Watch it here! It is a busy time of year in DASP music from a singing perspective! We currently have several singing projects on the go, thanks to funding from the National Singing Strategy, via Dorset Music Service. Kathie Prince is starting a tour of all of the first schools, delivering singing development sessions to all first school staff. These sessions will help to improve the teachers' confidence and will give them new ideas on how to approach singing with children. Kathie is also running targeted session with some school choirs, and has so far visited Milborne St Andrew First School. 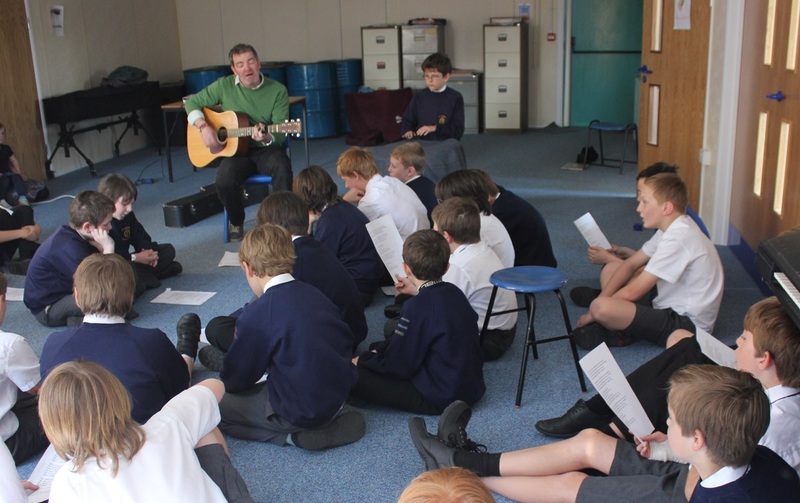 Steve Wilson has run sessions with all year 7 boys across the whole DASP pyramid, singing songs such as 'We will Rock You', 'Hey Brother', and 'I wanna be like you'. He has just started a new DASP vocal group for middle school boys, The Treblemakers, which rehearses at Dorchester Middle School on Tuesdays at 3.45. Everyone is welcome! 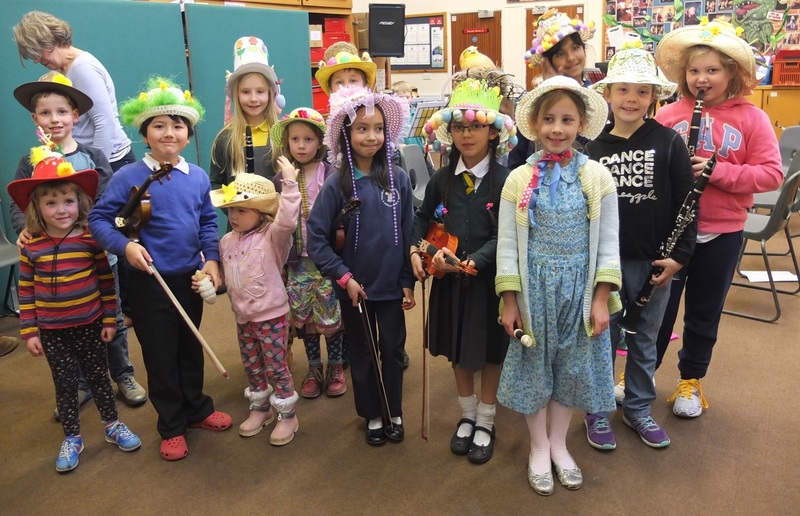 MSO and FSO end of term concerts and Easter Bonnet parade! On the last day of the Spring term, MSO and FSO both held informal concerts for parents. FSO started their concert with an Easter bonnet parade. The effort that the children had all put into their hats was fantastic! They then performed a selection of pieces that they had been working on during the term. MSO kindly invited some of the Manor Park beginner string players to join them in a performance of In the Hall of the Mountain King by Grieg. This was the first time that these string players had played with an orchestra and was a great opportunity for them. The mini concert was followed by a party tea for all. On Saturday 7th March, the Middle Schools' Flute Choir, Middle Schools' Brass Ensemble, Skylarks Choir and THS Harmony took part in the Weymouth Music Festival at Wey Valley School. All the groups performed very well, with Skylarks performing 'Listen to the Rain' and 'Do You Know How it Feels' both by Lin Marsh, THS Harmony singing 'Budapest' and MSBE performing 'William Tell Overture' and 'This Train'. A special congratulations must go to the Middle Schools' Flute Choir, who won the Intermediate Schools Instrumental Group category with their performances of 'Serenade' by Schubert, 'Breaktime Boogie' by Zoe Booth and 'Walk like this' by Ian Clarke, which featured some unusual extended flute playing techniques! On Wednesday 11th and Thursday 12th March, St Osmunds Sports Hall hosted two sell out 'From Stage and Screen' concerts performed by year 4 students from across DASP. This annual event has become a highlight of the First Schools' calendar and is a great opportunity for all of the children to experience performing in front of a large audience. The schools all performed individual songs, and then came together for five songs en-masse which included 'You've never had a friend like me' from Aladdin, 'It's a hard knock life' from Annie, and 'Thank you for the music' by Abba. Well done to all involved. More photos from the DASP Christmas Concert can be found on our Gallery page. There is also a 'highlights' video to be found on our Audio and Video page. More photos from the DASP Year 4 Concert can be found on our Gallery page. 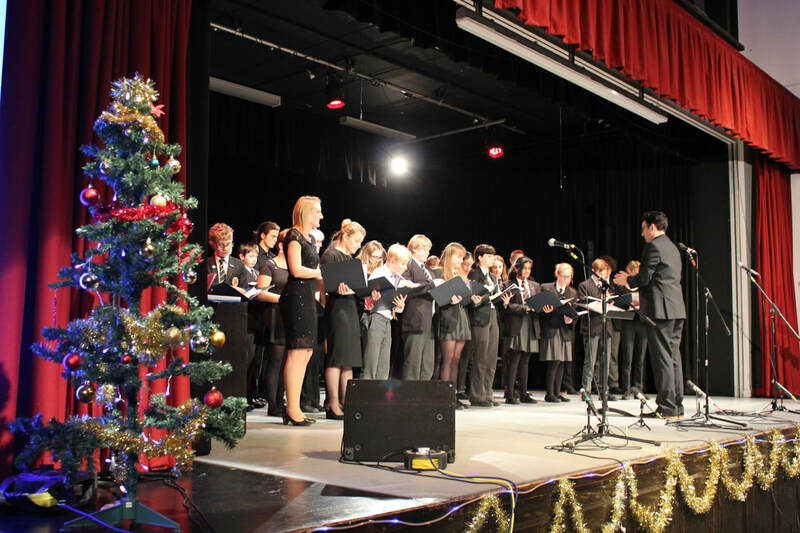 Tuesday 16th December saw the Thomas Hardye School Theatre packed out for the annual DASP Christmas Concert. As usual, the concert was divided into two halves - the first being mainly for the first school children and the second being for the middle and upper school students. The first half opened with the triumphant sound of brass as the THS Orchestra played Star Wars. This was followed by excellent performances by the Manor Park String Group, the First School's Orchestra, the DASP Recorders, the Puddletown Middle School Brass Group, the Bluetacks wind ensemble and the Skylarks vocal group. 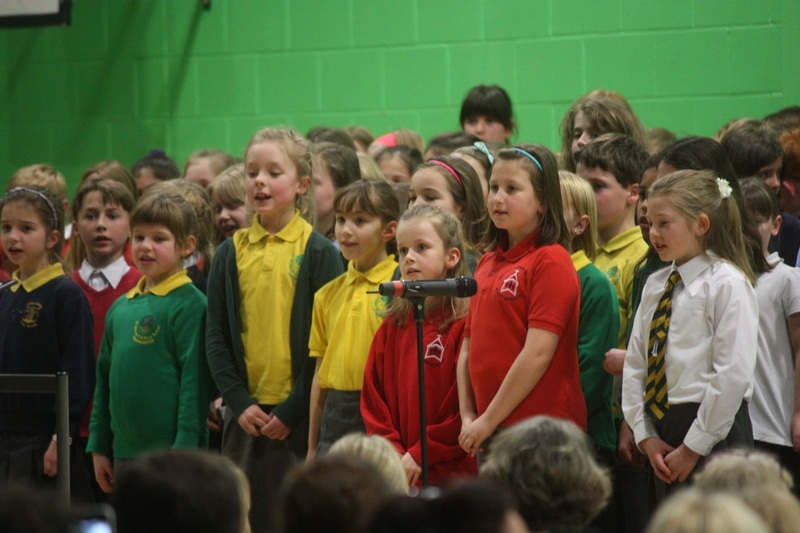 Approximately 60 children came together to form a First Schools' Choir and performed the song 'Midnight'. The second concert opened with the Middle Schools' Orchestra and was followed by performances by DASP Flutes, Middle Schools' String Ensemble, Middle School and THS Brass Ensembles, DMS Ukes, DASP Harmony vocal group and the THS Orchestra. The evening finished with a fun sing-along for everyone, led by the DASP Staff Band with a rendition of Wizzard's 'I wish it could be Christmas Everyday'. Thank you to all who contributed to the evening and Merry Christmas from all at DASP Music! 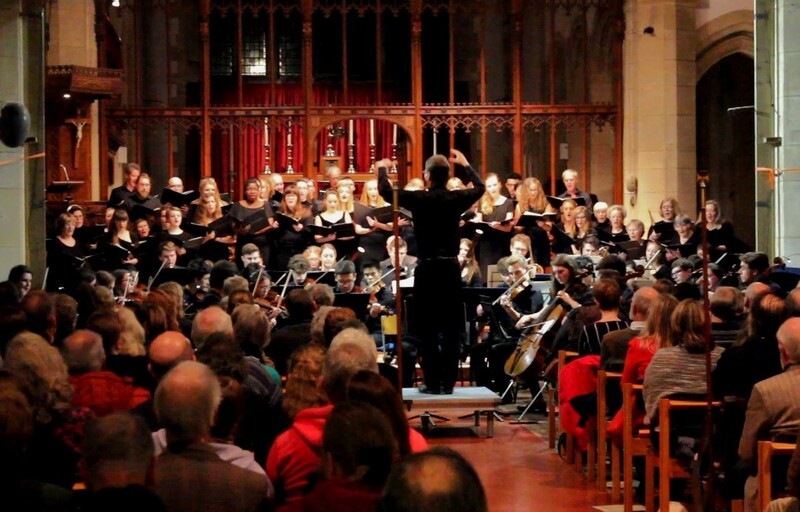 On Saturday 25th October 2014, The Thomas Hardye School Singers joined forces with the Imperial College Symphony Orchestra in a concert at St Mary's Church in Dorchester. The programme consisted of Requiem by Faure, Tall Trees by Peter Hope, The Nutcracker Suite by Tchaikovsky and Carnival Overture by Dvorak. During Tall Trees, the THS choir was joined by 25 students from the three middle schools. During the Nutcracker Suite, students from DASP joined with the orchestra. The chance for students from DASP to play and sing with such a high level symphony orchestra is a unique opportunity which not many school students would ever get. We are thrilled that the link with ICSO remains so strong and look forward to our next collaboration.